With dedication, distinction, courage, and commitment, more than 50 men have represented the Fellowship of Grace Brethren Churches as military chaplains. They stand on a legacy that has been built through the years. These men have felt the call to share the message of God’s never-changing love to a unique culture. They have dared to hold their weeping wives and children, say goodbye, and then board ships and airplanes to go to strange and sometimes hostile environments. They have done so that they might touch the lives of many who do not know the peace that comes from knowing a Savior who loves them and wants to walk with them. They have served among many who have never darkened the door of any church. Orville Lorenz was awarded the Silver Star for heroism in World War II. Don Carter was awarded the Silver Star for heroism in Korea. As he prepared to go on one mission, a fellow unit chaplain, a Catholic priest, told him was going to take his place, because Don had been in too many battles. The priest was captured in the battle that ensued and died in a North KoreanPOW camp. John Talley was awarded the Silver Star for heroism in Viet Nam. Jim Hutchens was awarded the Bronze for Valor in Viet Nam and also received the Purple Heart for wounds that came as a result of trying to rescue wounded men. Eight Grace Brethren men have served during Operation Desert Storm and the Gulf War in both the Iraq and Afghanistan theaters. … All of the chaplains have been highly decorated for their service in both peace and war. Grace Brethren chaplains have served with distinction and have had the honor of being placed in positions of key leadership at nearly every level of command. To be selected to be the senior chaplain of a divisionis a tremendous honor and few are granted such an honor and responsibility. At least three have served at that level. 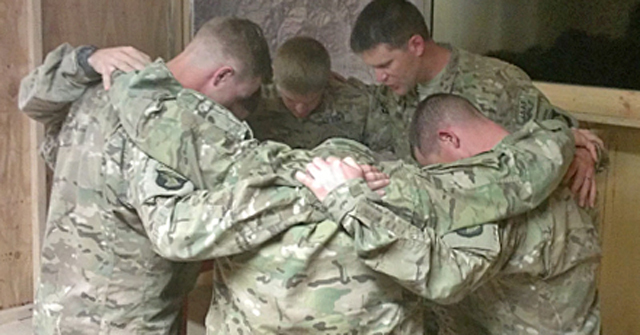 Grace Brethren chaplains want nothing other than to be men of God with the message of hope and salvation in Jesus Christ in the midst of our nation’s fighting forces. They not only are deserving of the honors that have been given to them by military commanders but are also worthy of the continued prayers and support of our Fellowship. There are soldiers,sailors, airmen, and Marines living and dead whose lives have been forever made whole because of the faithfulness of these heroes who have served the cause of Christ in very difficult circumstances. I also pay tribute to their families who have been no less than heroic in their commitment to live the gypsy life of the military family. Theseunsung heroines and heroes have been willing to keep the home fires burning while husbands and fathers have been away on isolated and sometimes dangerous tours of duty. Thank you for your prayers and support for all of those who have so valiantly served and continue to serve God, Country, and our network of churches. * for their families, who need grace, patience, and closeness to be able to weather and grow from the military environment. Excerpted from an article by Dr. John W. Schumacher, CH (COL) USA, Retired, the Chaplain Endorsing Agent for the Fellowship of Grace Brethren Churches, which appeared in the November-December 2010 issue of FGBC World magazine. The Eagle Commission serves as a strategic link between the people of Grace Brethren churches and military chaplains around the world. To become a part of the Eagle Commission, learn more about the chaplains, and to receive regular updates and prayer requests about the ministries of the chaplains, see eaglecommission.org. The Eagle Commission is sponsored by the Grace Brethren Investment Foundation. 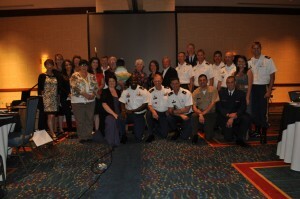 For a complete list of current Grace Brethren military chaplains, see eaglecommission.org/our-chaplains.